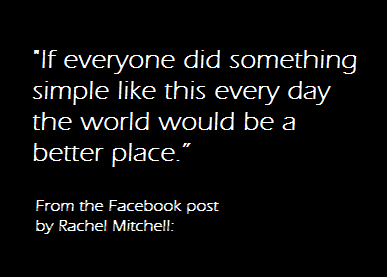 The Chicago Police Department praised Sergeant B. Hagarty for his act of kindness. It’s really an effortless act, but heartwarming. 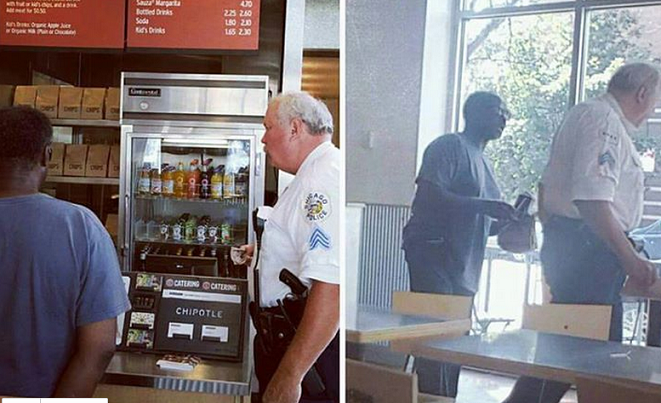 According to a Facebook post the officer was sitting by himself in a Chipotle restaurant. He saw a man rummaging through the trash looking for food. Sergeant Hagarty knocked on the window motioning to see if the man was hungry. The man said yes. Hagarty then bought a meal for the man.